I definitely loved orchids. When I was little, I used to see these flower-bearing plants hanging outside my window. My grandmother took care of them, and she found joy in caring for these orchids. Little did I realize that I was growing up like my grandmother–someone who would want to take care of orchids in my own home. I have come across an article written by Simon John Adams. It is entitled, “Orchid Care And Maintenance Made Simple”. 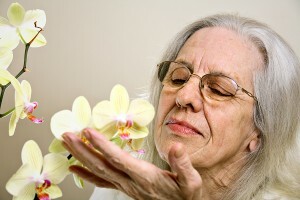 This is indeed an informative article on orchid care. However, it may not be the best article to read if you seriously want to care for orchids. The details are too general, without focus on any type of orchid. Let’s take for instance the part where it gives tips on how you should water your orchids. The article says you can place a stick into the potting mix as a guage on when you must water the plant. It may be helpful to know that when the stick becomes totally dry, then it’s time to water the orchid. It is also true, as the article says, that frequent watering can kill the orchids and allow fungi to grow. But do you know that proper watering actually relies on the type of orchid? There are orchids that need to be moist at all times like the Miltonia orchid. There are orchids that must be allowed to totally dry out in-between waterings, except when they are growing actively. One type of orchid that needs this kind of watering is called Cattleya. There are also orchids that need just a bit of drying out in-between waterings such as the Vanda orchid. As a general rule, orchids need to be watered every 5-12 days depending on their type. The article has also given information on how to choose the right container when repotting your orchid. However, it does not mention how to determine if an orchid really needs repotting. Actually, actively growing orchids that are newly potted must remain in their growth media for 2 years before you can repot them. The article also fails to give tips on how to repot your orchid. In order to do this, you have to remove all the dead roots, and then put the plant in the center of a pot with its roots down. Add a moistened bark or rocks just below the bottom of the lower set of leaves. Wait for a week before watering and fertilizing it. I can say that the article has focused on the conditions where orchids can possibly grow healthily. It mentions the perfect location and temperature that are most suitable for orchids. However, there is more to orchid care than maintaining these conditions. I think I have learned more from my grandmother when it comes to orchid care than from reading this article. Nevertheless, reading it may be worth your time if you are just beginning to care for orchids. Do you have any fond memories of growing orchids with a family member? If so, share your story by leaving a comment below. Read this post for a more in-depth look at repotting your orchid.